This has been a great week drawing. I hope to keep up with it in terms of documenting these people. 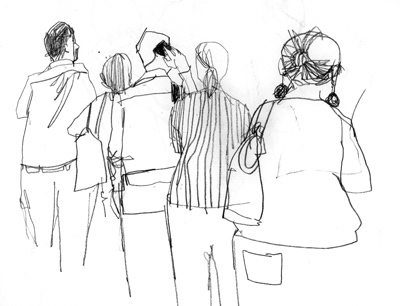 Here is an illustration of a group of unfortunate people standing in a painfully long line. Enjoy the weekend.